Coming soon, we'll offer comprehensive cover for the brand new iPhone XS at fantastic prices, and have a dedicated and experienced in-house customer care team. Cracked Screen Cover– Apple’s edge-to-edge glass display is worth protecting. Accidental Damage Cover– we’ve got your iPhone XS covered if you drop or damage it. The new 2018 iPhone and successor to the innovative iPhone X, has been crowned the iPhone XS. The next instalment in this generation of smartphones, the XS showcases Apple’s latest innovations. With a 5.8 inch OLED edge-to-edge display, it bears strong resemblance to the iPhone X visually, however the software has received some serious upgrades. The smartphone boasts an even faster and more powerful A12 bionic chip processor and a dual lens camera with improved capabilities. With an all-glass design, accidental damage protection is absolutely vital. With this device, you'll be doing more than ever before, which is why we know you won’t want to be without it for long should disaster strike. Just like the iPhone X, the iPhone XS is an expensive device, with a minimum retail price reaching the dizzying heights of £999. So, if you’ve decided to invest and upgrade to the iPhone XS, what happens if it gets damaged, lost or stolen? The cost to repair or replace it could be stratospheric. That’s why we're creating cheap iPhone XS insurance policies, so that should the worst happen, loveit coverit are here to help you out. Leave it up to us to protect your brand-new gadget. You don’t have to stress if something awful happens to your iPhone XS because we’ll endeavour to get your beloved device back in your hands as quickly as possible. We will continually compare our policies to others in the market, to ensure you’re getting the best iPhone XS insurance at the most reasonable price. Our iPhone XS cover stands out from the competition as it includes loss as standard and unlimited claims. Accidents happen. But when they happen to your new iPhone XS, our comprehensive cover gives you peace of mind and financial reassurance. Nothing attracts water quite like high-tech gadgets. Protect your iPhone XS against liquid damage and we’ll get it repaired or replaced. Dropped or knocked your iPhone XS and the screen is cracked or not working properly? Don’t worry, we will get it repaired! 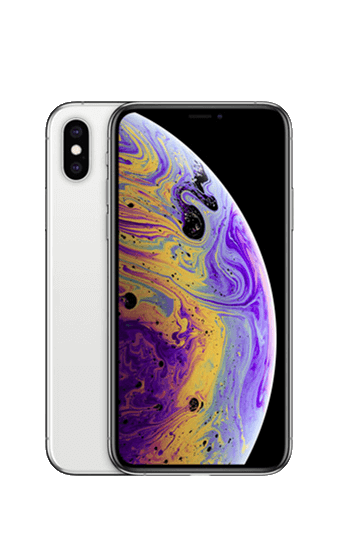 We offer a replacement iPhone XS and cover for unauthorised calls when your device is taken from you. We’ll cover your iPhone XS if an electrical or mechanical fault occurs outside of its warranty period. With 3 decades of experience, the loveit coverit team have provided insurance for every iPhone ever released. As the Apple handsets have evolved and been released, we have followed alongside, continuing to provide comprehensive and affordable cover for every new device. We understand how much Apple smartphones have become a part of everyday life and how iPhone users depend on their devices. That’s why it’s important to protect your iPhone XS and save you the heavy cost to repair or replace it if it gets lost, stolen or damaged. If you take out insurance with loveit coverit, you can be sure that your device is in safe and experienced hands. We continually compare iPhone XS insurance policies in the market, to make sure our cover offers everything users need, at an affordable rate. If you’re doing your iPhone XS insurance comparison online, always check how much the company’s excess fees, as well as what cover is actually included in your policy- loveit coverit are one of the few providers who provide loss as standard. How does the iPhone XS compare to the X? Aesthetically, the new iPhone XS is very similar to its predecessor, with its 5.8” HD OLED display, top-to-bottom, all-screen design and dual 12 MP camera- although this year’s iPhone has had a few improvements, including depth of field control and stereo sound recording. Unlike before, the iPhone XS comes in gold. Both devices also have Face ID, 3D touch and wireless charging capabilities. While the X was only available in 64 and 256GB, the XS comes in 64, 256 and 512 GB versions. Both are dust and water resistant, although the X’s limit is 1 metre of water for up to 30 minutes, while the XS’ limit is 2 metres for 30 minutes. The battery of the XS lasts 30 minutes longer than the X did and it now has dual SIM capability. Perhaps the most important difference is the updated internal software, particularly the upgrade from the A11 to the A12 chip. This change makes the XS a far more powerful and efficient device than the X. Based on your chosen device, you can easily see how our iPhone XS insurance compares. We've made it quick, simple and cheap to insure your new iPhone XS. With colossal RRP prices, you only pay a fraction per month, to ensure you are covered if a damage, loss or theft occurs. When will the new iPhone be released? 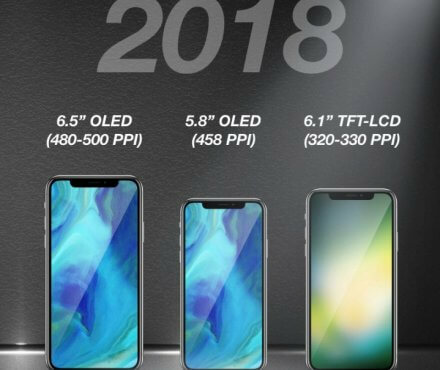 What is the name of the new 2018 iPhone? What features will the next iPhone have? Here at loveit coverit, we are preparing brand new policies ahead of the iPhone XI, iPhone X Plus and iPhone 9 launch, so that you can protect your device quickly and easily. This year we are to expect possibly three new handsets from Apple, all of which are allegedly going to released around the same time. While we all await confirmation from Apple HQ of the official details, we’re putting together a collection of rumours, speculations and latest news as it drops. Apple have a tendency to release new iPhone handsets in September and this would follow suit nicely, what with the iPhone 8 having been released in September 2017. This means that there’s potentially less than three months until you could get your hands on the new model. There is, of course, always the chance that Apple will release more than one model at varying times- most assuming that there will be at least three releases- and it’s suspected that the third handset, will be released in October. Ahead of the launch in Autumn 2018, a lot of discussion has been had around what Apple will name its newest flagship device. Apple have kept us on our toes with their most recent launches, making it harder to predict the outcome of the long-awaited name-release. Will they pick up where they left off and offer us an iPhone 9 or 9 Plus? Will they skip that entirely and follow on from the iPhone X with an iPhone 11? If that’s the case, would it specifically be an iPhone 11 or an iPhone XI? With all that being said, Apple could produce an additive to the X and release an X Plus! Macworld asked their readers in a poll what they thought the highly anticipated name would be. 38% thought it could be the iPhone Xi (pronounced iPhone 11), 28% thought iPhone X plus and the iPhone 2018 received the fewest votes with just 7%. The third, cheaper handset release is predicted to be named the iPhone 9. What will the new iPhone feature? There have been deliberations as to whether the phone will feature a triple lens camera, facial recognition and an edge-to-edge screen. Out of the three (predicted) releases, it appears that two will feature an OLED screen display. One will be 6.5-inch, which means that when the phone is turned to landscape, you’ll see more in certain apps like you would on an iPad. As the iPhones are set to feature bigger screens, the prospect of an Apple pen or stylus becomes more and more relevant. Having said this, it’s not looking likely for this year’s launch. It’s theorised that all three will feature Face ID, due to the ongoing technological challenges involved with Touch ID, although this will undoubtedly be decided based on the feedback from iPhone X users. They could also decide to create a new version of fingerprint scanning using Touch ID, but on the display itself rather than on the home button. Following previous releases, we can easily predict the processor that these new Apple devices will have. The iPhone 7 had the A10 Fusion, the iPhone 8 and X had the A11 Bionic and so you would expect that the next iPhone would feature an A12 processor followed by a new code name. It’s suspected that the processor will be quicker and more efficient, improving the device’s performance even further. According to Mashable, the cheaper handset rumoured to be launching is predicted to have a single rear camera lens and be made of a lighter aluminium, but still have a glass back to accommodate wireless charging. It was recently revealed that Apple could be making fast-charging much easier for this handset launch, by including a fast charger in the box. This means that you won’t have to go out and purchase a separate charger if you want to use this particular feature! It’s been speculated that the first, more expensive phone could come in grey, white, blue and orange, with the cheaper, third model coming in yellow and taupe too. Finally, the all-important question- will the new phone have a smaller price tag? If we’re to take a look at previous handset launches and the pattern of their pricing, the price of this device, with its 5.8-inch screen, could be around $1,100, starting around $100 more than the iPhone X. However, it also seems as though one of the three iPhone releases will feature an LCD screen and will be a cheaper alternative. With all of this in mind, anything could happen between now and September, so we will keep this page updated as soon as we hear anything new. How will it compare to the Samsung Galaxy Note 9? The next iPhone will allegedly follow suit with a large screen (6.3inch to be precise). Looking at the performance of the iPhone X’s processor compared to the Note9’s, the Apple device easily wins that race- and it’s expected that the next releases will have an even faster processor as detailed above. So how will the pricing compare? With the iPhone X starting at $999, the same price as the newest Note, the cost of the next iPhone will almost definitely be more than the Samsung device- and it’s predicted it could be upwards of around $1,100. The largest amount of storage available on the Note9 is 512GB, whereas the iPhone X only offers half of that. Because of this, Apple could start their storage at 128GB in order to keep up with Samsung, which will only heighten the cost factor!